Who isn't cheered by this classic old fashioned favorite? 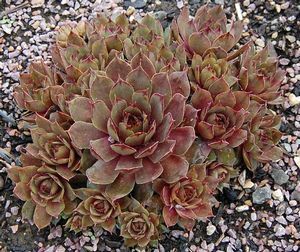 Succulent pointed green rosettes both large and small varieties, combine in shades of green and reddish pink. New chicks form around the base of the mother hen.